9.8mm x 24.85mm / 0.386in. x 0.978in. Saluting Scout Charm by Rembrandt Charms. The height is 1 inch. Integrity, respect and cooperation are just a few of the fundamentals. 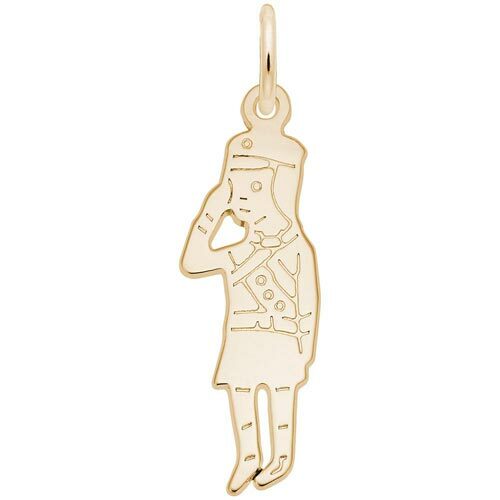 Show some pride by engraving this Saluting Scout Charm. This Girl Scout jewelry can be placed on a necklace as a pendant or will be a wonderful addition as a charm for a Charm Bracelet.